Raspbian desktop minimal install, such a treat! Save a lot of uninstalls and reduced download size. Thank you! will vlc also play hevc files like kodi? with kodi hecv works surprisingly well. even with full hd videos performance is great most of the time. 8bit HEVC should work, but not 10bit yet – we’re looking into it. Kodi can display the frames as YUV, whereas VLC has to have them as RGBA to merge into the frame buffer. The conversion to RGBA is a touch trickier with 10bit so requires some reworking. The extra overheads of having X in the way may also mean that it’s not feasible to get to 1080P30 as Kodi currently does. Thanks for that – we’ve found the problem and are uploading a fix to the repo. Give it an hour or so and then try again. Thanks Simon, you’ve fixed it on my eighteen Raspberries. Just one point to note – as far as I can tell, the only way this bug can manifest is if a Pi has at some point had the desktop started by the root user – we would strongly recommend against ever doing this, so anyone affected might want to check your config just to make sure you aren’t running as root inadvertently. apt dist-upgrade -y work ok! Looks as if something may have gone wrong in your update. Try reinstalling the rpi-chromium-mods package – sudo apt-get install –reinstall rpi-chromium-mods. I use the file ~/.config/lxsession/LXDE-pi/autostart to launch my program on power up but that does not exist now. What is the best way to autostart a program now in this version? Exactly the same way – your old autostart file has been copied to ~/oldconffiles/.config/lxsession/LXDE-pi/autostart; copy it back to its original location. The reason this file was removed is that a bug in lxsession means that if a local copy of the file does not exist, a local copy is made of the global file, and then any further changes to the global file will be ignored. We’re trying to avoid having to delete local files in future; for anyone who doesn’t set up one of their own autostarts, they don’t need a local copy and so any changes to the global file will now take effect automatically. Simon thanks, If I don’t upgrade but create a new image is there an new equivalent ‘autostart’ file somewhere? I’m interested because the old autostart file contained a line that I disabled (@xscreensaver -no-splash) so I’m presuming that line is now somewhere else. The global autostart file is in /etc/xdg/lxsession/LXDE-pi/, but if you want to remove items from it, you shouldn’t need to change that file at all – just create a new local file without the lines you want to remove. In this case, if the local file exists, all the autostarts in that file run, but no others; if the local file does not exist, the autostarts in the global file run instead; the global file is ignored completely if a local file exists. In general, the approach should be that the global files are defaults which are never changed by users; any changes made by the user should be in the local files, and these will override the globals. In future, we will endeavour to only make changes in the global files and leave user files alone; my apologies that on this occasion we did have to remove your local autostart, but this was just an attempt to get everyone to a consistent state going forward, and we’ll try not to do it again! So…if I want just to *add* something that I previously added to autostart, I can make an autostart with just those commands in it? If you want to add something that you previously added to autostart, you will need to copy the contents of /etc/xdg/lxsession/LXDE-pi/autostart to ~/.config/lxsession/LXDE-pi/autostart, and then add whatever you want to that local copy. autostart will run either whatever is in ~/.config/lxsession/LXDE-pi/autostart, if it exists, or whatever is in /etc/xdg/lxsession/LXDE-pi/autostart. The commands in /etc/xdg/…/autostart include pcmanfm to display the desktop and lxpanel to display the taskbar, so those need to be added to any local file you create. Have you pre-installed Mu into the recommended software image as well as Thonny? It seems that it’s quite popular in Education and seems like a very good product, and possibly a lot more useful to beginners. In all seriousness, it is trivial to install Mu (and remove Thonny) using Recommended Software for anyone who wants to do so. Simon, many thanks for this. Would it be possible to add the file sizes to https://www.raspberrypi.org/downloads/raspbian/ to help us choose the most appropriate download? Thank you. We’ll have a look at that; I guess there will be people who want to judge whether it is worth the additional bandwidth to get the “big” version, so I can see that file sizes would be useful in that circumstance. Surely you just pick the OS you need, rather than decide by its download size? You either need Lite, or Basic or full featured, irrespective of the size? Excellent and very welcome changes. I’m particularly pleased about GPU-enabled VLC and the new “Desktop Raspbian minus huge apps I rarely use” version. This should save a tonne of bandwidth and SD card flashing time. If we update an existing raspbian image, will it ‘upgrade’ to the base image? If not, how can that be achieved please? I would prefer to have the base image and add the extras I need, rather than the full image, but I guess that upgrading from an older version to the base image will mean that some software has to be removed. If you update an existing image, it will update all the optional software currently installed in that image, but it won’t add or remove any optional software. To convert your updated image to the base image, just run Recommended Software and uncheck all the boxes. It sounds as if your upgrade failed and corrupted something. The keyboard shortcuts you mention are in Openbox’s configuration – I’d suggest you run Appearance Settings and select one of the options on the Defaults page. One of the main intentions of this update was to ensure that a default configuration was fully-functional on all Pis. I have just noticed the VLC installation instructions which I missed.These are detached from the VLC information. I must stop skim reading. As per the instructions above, you don’t get vlc automatically on an upgrade – you need to add it from apt, as you have done. It will be included in all images from now on by default, but it needs to be added manually to existing images. Astonishing what this single board computer can do. Thanks for the free version of the OS and the continued development. Is an update to Firefox in the roadmap? Raspbian’s current firefox-esr (52.9.0) has passed its end of life, and is also incompatible with newer Firefox addons. Debian’s firefox-esr (60.3.0) is available for stretch, and even as a security update to jessie. Our supported browser is Chromium; this includes Pi-specific hardware acceleration for video, which is not in Firefox. Unfortunately, we don’t have the resource to support multiple browsers. Debian packages which are compatible with Pi are automatically kept up to date with the Debian release, so if Raspbian’s Firefox is lagging Debian’s, this is because something about the package does not compile or run on Pi; this would require manual intervention to fix. New x86 image! This is newsworthy! You should add a mention to this in the post! Thanks for your effort towards keeping LXDE fresh and relevant! VLC plays TV streams from the Pi TV Hat with very little or no stuttering. I am watching Sky News at the moment. I am not sure how I managed to use the commands under Media to do this. I shall have to wait until people much more competent than myself can write a very straight-forward guide. This is so welcome, thank you! I was literally recording a how-to for the TV HAT yesterday and hoping to find a straightforward guide to compiling VLC for hardware-accelerated playback to include, not tested the update yet but this is great news! Sorry if dumb question, I use Chromium as my browser and version 65 seems to be still the latest I can get for my Pi, are there any plans to update Chromium to more current version any time soon? We update Chromium every few months, but the person who hacks it to include the hardware acceleration has been busy doing just that for VLC for the last few months instead! He’ll be back on Chromium again soon, so yes, there will be a new version at some point in the next few months. VLC seems to work great, many many thanks for this!! Fullscreen osd/controls is missing actually, dont know if its a config-problem as I have not checked it…but this is a good step in the right direction at all. Fantastic. Thanks very much for your continued hard work to support the Pi. This product continually improves at a rapid pace and is a joy to use. Would be cool if you’d add the download-sizes of the images to the download-page. That way one can easier choose if it’s worth using the bigger/smaller one. Simon, i m the guy with vlc problems and lost window shortcuts. What Pi are you using? For VLC to work properly, particularly on large resolution files, you need to be on a Pi 2 or Pi 3 – on a Pi 1 or a Zero, VLC will only really work on low-ish resolution files. 1080p will probably fail; something like 480i will probably be ok, depending on bit rate and codec. 480i? Please wash your mouth out! 480p should be fairly easy, and quite possibly 720p, but deinterlacing is likely to cause grief (I’m not sure it’s even plumbed into the accelerated VLC). OK, something is wrong somewhere – if you are using a clean copy of the current image on a 3B+, VLC should work with no issues. 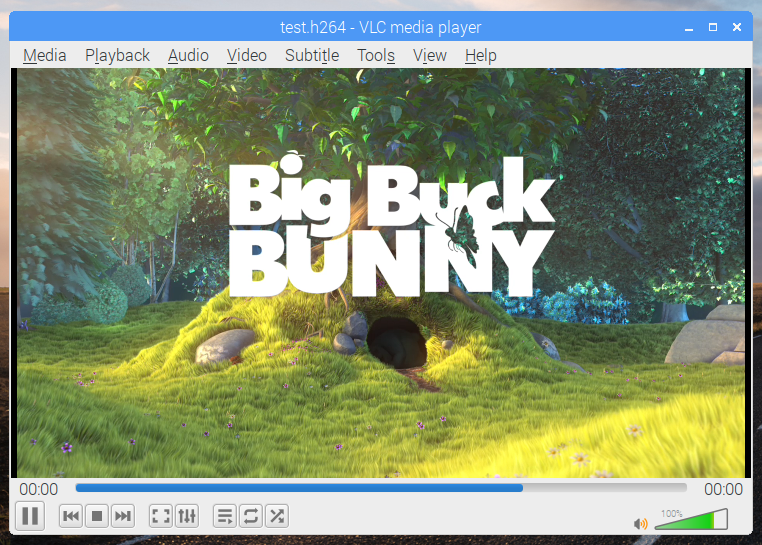 The clean image was extensively tested before release, with particular emphasis on VLC. I can understand problems that arise from a failed upgrade, but the issues you are describing with VLC and Openbox should not happen on a clean image. Try re-downloading the image, using a different SD card and a different SD flashing tool, because it sounds as if your image is fundamentally broken in some way. Ah – yes, VLC is unlikely to work with the GL driver. We don’t recommend use of the GL driver unless people have a specific use case that requires it, as it is still experimental, which is why it is disabled by default and not offered in the desktop Raspberry Pi Configuration application. Can I add VLC to the start menu? an essential bit of system software rather than a heavy weight application program? VLC (the media player) is in all desktop releases; VNC (which is a remote desktop viewer) is full image only. Did you by any chance refer to the wrong one in your post – I always get them wrong myself! We have a limited amount of resource, and an infinite list of things to do. Standard Bluetooth audio output works correctly in this image as it has done for a couple of years now. Bluetooth audio input (which is what headsets require for the profiles you mention) is on the to-do list, but there are higher priority issues. Simon – Appreciate the update. I try the fixed installer in a bit.. I’m a Thonny user and was hoping Python was being updated from 3.5.3 to 3.7.1 be consistent with other implementations. I have created my own admin account and password, and “disabled” the pi user by changing its password to something which isn’t known to most of the civilised universe. I think I’ve now sorted the issue by changing the autologon settings in Raspberry Pi Configuration, and then setting it back to ‘as current user’, after making sure that I was logged in with the correct account. However, this problem has wasted me quite a bit of time, and I’ve still got several more Pi’s to upgrade. Is it possible please to modify the installation process to take appropriate action when the upgrade is executed from an account other than Pi? That’s strange – nothing about the upgrade process should be specific to the pi user, and in fact the scripts that run to update files etc are all deliberately designed to do the same thing on every user account which exists on the system. I’ll try and repeat the issue you describe next week and see if we’ve got something wrong somewhere. OK, there is something odd going on – something in the upgrade process is resetting the autologin user to “pi”. That shouldn’t be happening – I’ll try and find out why it is. Out of interest, is this the first upgrade you’ve tried from a new user – did this work before? I can’t see anything specific to this release which is changing this setting, so I’m not sure whether this is a problem with the update process itself or something specific to this update. I have a script which actually uses ‘sudo apt full-upgrade’ instead of ‘apt-get dist-upgrade’ I wonder if this is part of the problem? I’ve been running this script under my custom user account for a year or more on seven different RPis (a mix of 2,3,3+,zero,zeroW) without any previous problems – that I have noticed at least…. Typically, I try to keep my Pi’s up-to-date, and run the script on each Pi about once a week on average. I have still got problems with the one Pi (3+) which I have upgraded so far. Initially, I was experiencing very slow performance when connecting to the CLI via SSH, or to the desktop via VNC. This was with VLC running, but I think normal performance has been restored since I was able to reboot the Pi via SSH. CLI via SSH now appears to be working normally, but if I try to VNC to the desktop, I get what appears to be a successful connection, but the desktop is black. I get the same result whether I use the Pi account or my custom administrator account. Incidentally, the Pi account still has my changed password, and not the default fruity one. I usually run my Pi’s headless, but do have the facility to connect a monitor and wireless keyboard. I’ll do some further experiments as soon as i can, and report back on the results…..
My customised (local) autostart file now saved in oldconffiles contains the equivalent line ‘@point-rpi’, followed by the line I added to run clementine audio player at startup (@clementine). Has the @ symbol been omitted from the new autostart file deliberately, or is this a typo….? Thank you for that – I’ve done some testing and discovered that it is not the upgrade process per se which causes the problem, but one specific package. The only problem is that an update currently installs updates to 40 or 50 packages, and I now need to step through them one at a time and find out which one it is! All I know so far is that it is indeed a package that we have updated relatively recently, but that doesn’t narrow it down much. I’ll look into this over the next couple of days – in theory, if I can identify the package and find why it is updating the autologin, it’ll be trivial to stop it from doing so. I’d hold off updating your other Pis for a couple of days to give us a chance to find the fix and push it to the repo. I have found one other issue while investigating this, to do with the autologin changing for the desktop but not for the background TTYs when Raspberry Pi Configuration is used to enable autologin – I’ve already fixed that, and we’ll have a patched package available early next week. I’ve now identified the problem – the package which installs the greeter (the screen which is displayed to prompt for a user when logging in to the desktop) was resetting the autologin user to “pi”, because under stretch the greeter didn’t run correctly without an autologin set. I’ve now modified this to only set an autologin user if one does not already exist; we’ll need to give this a bit of testing to make sure it doesn’t break anything else, but we should have a fix available in apt in the next day or so. Did the update, that went smoothly. However, when I open videos in vlc, I’m not getting a window per say, but rather the video is dumped directly to the framebuffer like in omxplayer. Not really sure if anyone else is having this problem or not. Something has gone wrong there – VLC should be playing in a window. Try reinstalling VLC (sudo apt-get install –reinstall vlc), and make sure you have done a sudo apt-get update first. Amongst my friends, I’m known for breaking things, so this might be a break to discuss. I have attempted to compile vlc with hardware acceleration (interesting side note, a friend sent me a link to this article as I was attempting that again). I think the break on my end is due to not having the proper perquisites installed. The only video output mode listed that also works is “MMAL-based vout plugin for Raspberry Pi”. One of the problems I was having following tutorials was the proper output was not listed. Am I missing a package that’s needed to get windowed output to work and if so which one? You should have VLC version 3.0.3, and an output option of “MMAL x11 splitter for Raspberry Pi”. The “MMAL-based vout plugin for Raspberry Pi” output mode is the older plugin which does only support full screen mode with no overlays. Finally decided to ditch Windows on my old machine in favour of Raspbian which is the best Linux desktop by far. Am having a problem with the x86 image. The pointer initially shows but disappears just after the task bar is drawn, never to be seen again. The mouse continues to work as buttons etc. change when moused over. The previous x86 image works fine. I’m not aware of anything we changed in this image that would have affected the mouse pointer, and I didn’t see the problem you mention when testing the x86 image before release. I’d suggest downloading a clean copy of the x86 image and reflashing it to see if the problem goes away. I’ll try the x86 image on a couple more machines next week and see if I can repeat the issue you are seeing. x86 Debian Stretch with Raspberry Pi Desktop (not Raspbian Stretch) fresh install of the 13th November release works perfectly, even after the software updates available. I always use Etcher in Windows 10 Professional x86-64 OS, I downloaded the .ISO via torrent, though did not undertake a SHA checksum. I initially ran from a LiveDVD to ensure it was AOK. Now running from a 16GB Class10 SD Card in a USB Card Reader. The VLC Media player is great thanks. 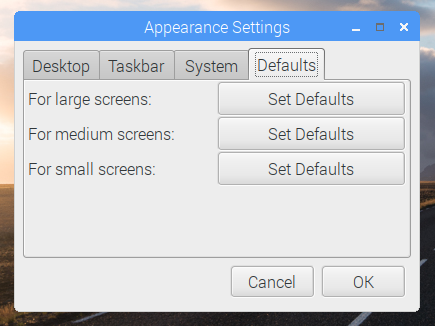 SD size requirement is the same for Raspbian “minimal” (not lite) and “full”? You can almost certainly get away with a smaller card for the minimal install. The full install requires at least an 8GB and preferably a 16GB card; I’ve not tried it, but I suspect the minimal install will work on a 4GB card. Clearly, a lot of thought has gone into helping people who do not have access to the internet all the time. In fact, a lot of thought and effort about everything. Excellent! Congrats on making this amazing os even better and I like the changes you have made in order to allow Vic to work more effectively on the pi. Can’t wait to see what future updates will be made though I do hope that one day you will allow the wifi to connect to enterprise wifi connections as I have always wanted to bring my pi to uni. Will it be OK on a Raspberry PI A+ ?? If you mean the new 3A+, yes, it will work fine on there. It’s been tested on a Zero and runs fine on that, albeit a bit slowly and with some limitations on the video resolutions at which VLC will work. the basic image is very welcome. now i don’t have to purge all the unneeded packages from the full image anymore or install a desktop to the lite image… thank you very much! the issues with the desktop i could fix by hand. Simon – Thanks for the hard work and the new slimmer version. Like many others I sometimes want a “desktop” version without some of the larger packages, so this will certainly make life a lot simpler. I download my images from the download site (at https://downloads.raspberrypi.org/). Here I’ve noticed a slight inconsistency with this release. The directory named “raspbian” has, until now (release raspbian-2018-10-11), had the _full_ raspbian images within. With this release, the full raspbian image has been stored in a new branch called “raspbian_full”. The raspbian image with just the desktop software is now stored under the directory called “raspbian”. To make the archive consistent, would it not be better to keep the full raspbian image (described as “Raspbian Stretch with desktop and recommended software”) in the “raspbian” directory tree, and create a new tree for the slimmer desktop-only image – perhaps called something like “raspbian-base” (or “raspbian-desktop”)? However, I can see that the directory called raspbian_full is a useful descriptive name, so one could create a soft link from raspbian_full to raspbian, or even change the name of raspbian to raspbian_full, but make sure there is a similar descriptive name for the slimmer desktop-only range to avoid confusion with the current “raspbian” directory. Can you make some upgrade that will automatically install (or remove) new programs (like vlc in current upgrade)? It’s something we have recently started considering for a future update, so yes, it’s likely we will produce something along those lines at some point. All these talks about what works for Pi and what not, shows that you do a lot of testings to make user experience seamless. So thank you very much for that! Love the new minimal build and user custom options. I always think that you should split large downloads into manageable pieces, but for some reason no one does that. We have _split_ and _join_ in Linux, so why not make use of them? I know you did C programming book a while back. Would C desktop programming book a worthwhile project? I know the Foundation prioritize Python and Physical Computing, but I’m all about computer games and apps, and other than SDL 2, I’m clueless about graphical desktop programming. Any advice on how to do video capture of desktop screen? I don’t see any background video capture program on the video above. Also, any recommendation for a good easy to use video editor so I can upload Raspi sessions to YouTube? I’m itching to put the new computing power of Raspi 3B+ to good use. Thanks. to Rasbian will do this (sudo apt-get install vlc). I cannot say how it can be done but Google and Youtube should provide a solution. I am only just beginning to use VLC but I am fairly sure I have seen this facility mentioned on a Youtube video. Many thanks for finding the cause of this problem so quickly – and over the weekend too! No apology is needed. I think it’s pretty amazing that the apt process works as well as it does – considering there’s something over 19,000 files installed in Raspbian (I believe). I guess I’m doing something a little different to many Pi users and you can’t possibly be expected to test every customisation which the millions of us users could dream up. That’s why I believe it’s important to feed information back to you so that problems can be identified and fixed. Good news! The mystery of the black desktop is resolved! Connecting a monitor to the HDMI port confirmed that the Pi was booting to a black desktop. I believe there is nothing wrong with VNC, which was correctly displaying the (lack of) desktop on the Pi. After some thought, I recalled that I had started to go through my oldconffiles, looking for things which need to be restored. Having read your original blog post about /etc/xdg, I compared the global lxsession/LXDE-pi/autostart with my custom “local” autostart and found they were almost identical. I had restored a copy of my autostart to the local ~/.config/lxsession/LXDE-pi/ and then removed the duplicated lines. From other comments and replies above, I now understand that the local autostart completely replaces the global file, which is only read if no local file is present. So I’ve copied my original autostart in full and all now seems to be fine. The black desktop was probably the result of me failing to start pcmanfm, in the mistaken belief that the global autostart was already doing that for me….!! I have also removed the @ from the @point-rpi line in my local autostart in accordance with your earlier response on this subject. Considering that you’ve identified a solution to the problem earlier than I imagined you would be able to respond to my original report, I am more than happy to wait the necessary extra time required for further testing and publication of the update to the repositories. Many thanks indeed for your help!! OK, I think the autologin problem is fixed – if you do a sudo apt-get update / sudo apt-get dist-upgrade now, you should get the fixed versions of the relevant packages, and your autologin user should stay as you had it rather than reverting to “pi”. Do shout if that isn’t the case, though! With regards the autostart, yes – if the local file exists, the global file is completely ignored. This seems a bit non-intuitive, but is because otherwise you couldn’t use the local file to remove entries from the global file. After feedback over the weekend, I have now slightly modified the behaviour of the autostart changes; the local file is now only deleted if it is identical to the current global version. This is still not an ideal solution, as it means that anyone who hasn’t updated recently enough to get the last change we made to the global version will never get any future updates, as their local file will already be different from the latest global version. Issues like this are a real headache, as there is no good solution which will work for everyone, and anything you do will make someone unhappy! Many thanks for all the feedback – it’s been very helpful – and thanks for being so understanding and bearing with me through the glitches. Many thanks for the update, and I’m sorry that it’s taken me a while to report back. I have now upgraded all my Pi’s and I’m happy to report that they have all upgraded successfully, and that my custom admin account is now preserved during the upgrade process. I’ve tried the upgrade in various ways (SSH, a terminal window via VNC, VNC/terminal from another Pi via SSH, etc) and I’ve typed update & dist-upgrade manually at the CLI, as well as running my custom apt-based script. All is well! I have seen a few passing error/warning messages, but I’m fairly certain that they are all related to the way I’m running the upgrade (either your pop-up warning about configuration change or the fancy progress bar in apt not able to function correctly via an SSH login perhaps) and not directly related to the upgrade itself. I’ve kept transcripts of the upgrades which I will check carefully (sometime!!) and let you know if there’s anything unusual – but I’m fairly sure there’s nothing to worry about…..
Congrats and thanks for this and every release. What is the status of php 7.2 or 7.3? Found that a fresh install of the base Pi image does not have lxterminal set as the file manager terminal. Hmmm – are you sure? I’ve just checked on a clean image, and Tools->Open Current Folder In Terminal opens lxterminal as it should. Is that what you mean, or am I looking at the wrong thing? In the Preferences dialog for the file manager (under the Edit menu), on the Advanced tab, there should be an entry for Terminal emulator – this should be set to “x-terminal-emulator %s”, which then uses the X alternatives system to map to lxterminal. No problem! Just glad it’s working for you. Just a note, this release does not include Python 3.7, it is still Python 3.5. The release states that new Thonny is included and the supplied link to their site reads “Thonny comes with Python 3.7 built in” but this is apparently not the case for Thonny on Raspbian. It may save some people some time to know this. That message is nothing to worry about – it’s from a bug in the Zenity application used to put the warning dialog on the screen. Thanks for making this latest update. Especially love the new hardware-accelerated version of VLC. Here I have found a strange behavior where the vlc windows will relocate itself every time the program starts. It moves up vertically by the amount of the Windows Title Bar height and moves to the left horizontally by 1 pixel. Could you comment on this stranger behavior of vlc please? To be honest, VLC integration is at such an early stage – we literally only got hardware decode working reliably within the last few weeks – that minor glitches like that are not something we have even considered; that said, I didn’t notice what you describe happening in our own testing. It doesn’t sound as if it affects performance, and it is unlikely to be anything to do with our customisations, so it may be a bug in this particular version of VLC which will go away of its own volition when we upgrade. I installed the new image, and it seems good, and fits on an 8GiB card, even with my additions. There still seems a lot of un-necessary stuff. Who needs python code for 32 HATs – no one could possible connect a small fraction of these. (These were some of the things I removed on older Raspbian to get a small enough image for 8GiB card. Thank you very much for the update. I hope your update list keep getting shorter. Seems like a very difficult task. Running multiple Pis that do everything from Servers, controlling 3D printers, hooking up to company PCs via Citrix and a virtual gaming PC via Parsec. This really is the little board that can. (My daughter) and my main Desktop is a Pi! Only ever broken 2 Pis, an that was as I broke the memory card holder. I’m hoping a Pi4 at some point with 4K, 4xUSB 3s! I can dream. VLC plays ok, but still seems to struggle. CLI MPV and SMTube still the best option for Youtube streaming! I’m using a 3.5″ Raspi HD-TFT screen on a 3B. When VLC is playing a video only a little more than the left half of the video frame shows. The only way I’ve found to get the full image of the video to show is to add gpu_mem=16 to /boot/config.txt. No other value works (and 32 results in just the VLC road cone showing). Sadly, doing this workaround means some videos don’t play smoothly. When I set the screen orientation to portrait it was able to show the full image, but it was quite small, being across the width of the screen. Setting gpu_mem=16 also makes the CPU much warmer, apparently causing thermal throttling. I guess it turns off hardware acceleration. Something I’d really like to see: a step-by-step recipe for transforming Raspbian Lite into the full desktop version…and ideally, one for going the other way as well. 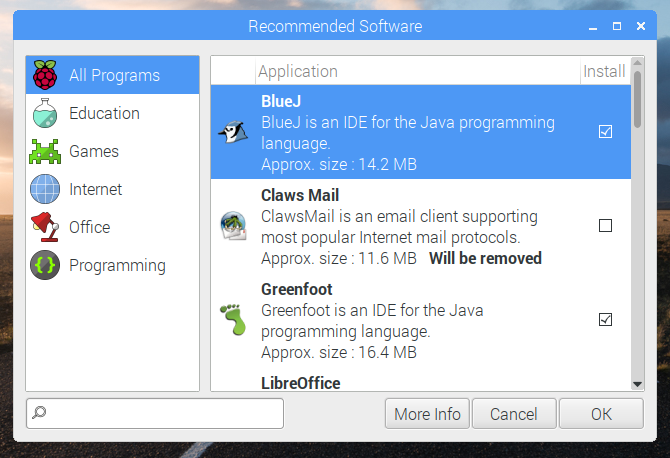 It would have some practical value, as I have encountered situations where I’ve had a fairly complicated install on Raspbian Lite that eventually needed facilities from the desktop version. And it would be supremely instructional for non-experts like myself to see explicitly what needs to be done to transform the lite into the desktop. We really don’t advise attempting to transform Raspbian Lite into the desktop version, or vice-versa. Either you want a desktop, or you don’t, and we strongly recommend making that decision before you start! There are just too many components which need to be added to convert the command-line environment into the desktop, and it’s no easier trying to work out how to make sure to remove all the desktop bits to go the other way. There may be third party advice on how to do this, but because it’s not something we advise, we won’t be producing a guide for how to do it – apologies. I normally run Raspberry Pi 3 with most updated Raspbian and “G1 GL (Full KMS) OpenGL desktop driver with full KMS” so I can run Blender. When I started vlc /opt/vc/src/hello_pi/hello_video/test.h264 it hung and I could not kill vlc using any means and had to reboot, but reboot hung, so I had to pull the plug. I had to switch to “G3 Legacy Original non-GL desktop driver” and reboot. Then vlc /opt/vc/src/hello_pi/hello_video/test.h264 worked. Yes, as you’ve discovered, VLC won’t work with the full KMS driver – apologies for not mentioning that in the post. To my surprise the culprit is libmariadbclient18. Still waiting for optional aarch64 kernel + armv7 system..
…which won’t run on a Pi Zero or Pi 1. Backward compatibility is more important to us than the small performance gains from running 64 bit code. The newest image broke hifiberry DAC Plus, I tried fresh img install. I updated an earlier image from May and and hifiberry was working before the update and it works after. The image I upgraded I can’t get vlc to work. Probably at one time I tried to install vlc not knowing it wouldn’t work. Would like to have both work at the same time if possible. :( I will try to install clean with an image from may, get hifiberry working then do the upgrade then install vlc and see if that will work. That is the long way around to it but I don’t see any other way since new img doesn’t work with hifiberry. I found a problem with the new VLC version – what is the proper channel to report it ? Please go to the Troubleshooting forum (link at top of page). It’s now an optional install in Recommended Software. The files themselves now live in /usr/share/python_games rather than /home/pi/python_games – this is in keeping with the location used for examples for Scratch and other languages. Hi Simon, I REALLY want VLC to work, but I am having problems, any chance you could get one of your guys to have a look at this Forum thread …. … and give me an idea of what to try next.